After reading article after article on this subject, a breakthrough came today, and it was from the Word of God. Why did I not search there first? I have racked my brain for years, trying to figure out why atheists and far-left liberals support Islam and even push educating our children in public schools about the “Religion of Peace.” The videos of beheadings and mass executions do not affect them. And obviously, their tiresome mantra “Separation of Church and State” doesn’t apply to Islam. In my articles about Islam, I have said that I believe that Allah is Satan. I also believe that the Islamic jihadists are demon possessed. There are approximately 1.6 billion Muslims on our planet. A little over 300 million of them are jihadists and want us dead. “In whom the god of this world hath blinded the minds of them which believe not, lest the light of the glorious gospel of Christ, who is the image of God, should shine unto them” (2 Corinthians 4:4). We are NOT fighting the Muslims. We ARE wrestling against principalities, rulers of darkness and spiritual wickedness — SATAN and his demons! People have responded to me in shock and anger at calling Allah, Satan. They defend the “god” of the Muslims. And to that I say “Yes! Allah is god, but NOT the God of the Bible. He is the god of this world! “Thou wast perfect in thy ways from the day that thou wast created, till iniquity was found in thee. By the multitude of thy merchandise they have filled the midst of thee with violence, and thou hast sinned: therefore I will cast thee as profane out of the mountain of God: and I will destroy thee, O covering cherub, from the midst of the stones of fire. Thine heart was lifted up because of thy beauty, thou hast corrupted thy wisdom by reason of thy brightness: I will cast thee to the ground, I will lay thee before kings, that they may behold thee. Thou hast defiled thy sanctuaries by the multitude of thine iniquities, by the iniquity of thy traffick; therefore will I bring forth a fire from the midst of thee, it shall devour thee, and I will bring thee to ashes upon the earth in the sight of all them that behold thee. All they that know thee among the people shall be astonished at thee: thou shalt be a terror, and never shalt thou be any more” (Ezekiel 28:15-19). We know that after Lucifer was cast from heaven to the earth, that his name was changed to Satan. “Be sober, be vigilant; because your adversary the devil, as a roaring lion, walketh about, seeking whom he may devour” (1 Peter 5:8). “Ye are of your father the devil, and the lusts of your father ye will do. He was a murderer from the beginning, and abode not in the truth, because there is no truth in him. When he speaketh a lie, he speaketh of his own: for he is a liar, and the father of it” ( John 8:44). “Now is the judgment of this world: now shall the prince of this world be cast out” (John 12:31). “The thief cometh not, but for to steal, and to kill, and to destroy: I am come that they might have life, and that they might have it more abundantly” (John 10:10). “He answered and said unto them, He that soweth the good seed is the Son of man; The field is the world; the good seed are the children of the kingdom; but the tares are the children of the wicked one; The enemy that sowed them is the devil; the harvest is the end of the world; and the reapers are the angels. As therefore the tares are gathered and burned in the fire; so shall it be in the end of this world” (Matthew 13:37-40). “To open their eyes, and to turn them from darkness to light, and from the power of Satan unto God, that they may receive forgiveness of sins, and inheritance among them which are sanctified by faith that is in me” (Acts 26:18). “Our collective atheism — which is to say, loving empathy, scientific evidence, and critical thinking — leads us to believe that we can create a better, more equal community without religious divisions. May we pray together? Mother Earth, we gather today in your redeeming and glorious presence, to invoke your eternal guidance in the Universe — the original creator of all things. May the efforts of this council blend the righteousness of Allah with the all-knowing wisdom of Satan. May Zeus, the great God of Justice, grant us our strength tonight. Jesus might forgive us of our shortcomings while Buddha enlightens us through His Divine affection. We praise you Krishna, for the sanguine sacrifice that has freed us. After all, if Almighty Thor is with us, who can ever be against us? And finally, for the bounty of logic, reason, and science, we simply thank the atheists, agnostics, and non-religious, who now account for one in five Americans, and growing rapidly. Did this atheistic person mention “The righteousness of Allah and the all-knowing wisdom of Satan” for a particular reason? I think that it was because the atheist is in reality a Satan worshiper. The rest of this man’s words are sarcastic and silly, but NOT when he spoke of Allah and Satan. Interesting, isn’t it? I believe that we are in the last of the last days. Satan is unleashing his wickedness in ways that this world has not seen. He is not just masquerading as Allah – he is present at ecumenical meetings of the Vatican. He is instrumental in the deception of pastors in the church, who lead their congregations with lies from the pit of hell. Chrislam is a lie that is being preached as truth in many churches. Why do the ungodly HATE the Jews with such a passion? The people who are anti-Semitic are godless and therefore they serve Satan. The mainline denominations who despise Israel and are marrying gays, and ordaining them as pastors – these are godless people who are serving Satan. SATAN HATES THE JEWS. He knows that they are God’s Chosen, and that Jesus came through their lineage. The liberals are outraged that our president wants to do everything in his power to protect the American people. The leftists can only see this action as evil and discriminatory. They actually see the Islamists as victims. I know that sounds crazy but it’s absolutely true. And don’t forget that the radical terrorists HATE the people of the Book – Jews and Christians. And so do liberals. And so does Satan. President Trump simply banned nations where terrorism is out of control. There are many Muslim nations which he did NOT ban. So, this is about terrorism – NOT about Islam. I will never look at atheists the same way. They are God haters, and therefore Satan worshipers. I believe that we are forgetting the power that Satan has while he still roams the earth. Of course we know that God is MORE powerful, but Satan IS powerful, and we see the results of this everywhere we look. “For the wrath of God is revealed from heaven against all ungodliness and unrighteousness of men, who hold the truth in unrighteousness; Because that which may be known of God is manifest in them; for God hath shewed it unto them. For the invisible things of him from the creation of the world are clearly seen, being understood by the things that are made, even his eternal power and Godhead; so that they are without excuse: Because that, when they knew God, they glorified him not as God, neither were thankful; but became vain in their imaginations, and their foolish heart was darkened. Professing themselves to be wise, they became fools, And changed the glory of the uncorruptible God into an image made like to corruptible man, and to birds, and fourfooted beasts, and creeping things. Wherefore God also gave them up to uncleanness through the lusts of their own hearts, to dishonour their own bodies between themselves: Who changed the truth of God into a lie, and worshipped and served the creature more than the Creator, who is blessed for ever. Amen. For this cause God gave them up unto vile affections: for even their women did change the natural use into that which is against nature: And likewise also the men, leaving the natural use of the woman, burned in their lust one toward another; men with men working that which is unseemly, and receiving in themselves that recompence of their error which was meet. And even as they did not like to retain God in their knowledge, God gave them over to a reprobate mind, to do those things which are not convenient; Being filled with all unrighteousness, fornication, wickedness, covetousness, maliciousness; full of envy, murder, debate, deceit, malignity; whisperers, Backbiters, haters of God, despiteful, proud, boasters, inventors of evil things, disobedient to parents, Without understanding, covenantbreakers, without natural affection, implacable, unmerciful: Who knowing the judgment of God, that they which commit such things are worthy of death, not only do the same, but have pleasure in them that do them” (Romans 1:18-32). Liberals hate God because they love their sin! Same master in chief… In Islam, though they have laws regarding the harsh treatment of homosexuals than Christianity, it is perfectly permitted to lie to people to advance their cause even if that would mean an Islamic guy ganging up with the LGBT movement. Who is the father of lies? Satan. Who is the world under the sway of? Satan. For years I’ve believed that islam would be the vehicle used during the Tribulation to bring about God’s judgment on the earth, for a number of reasons, not the least of which is that their “end time” scenario fits hand in glove with Scripture’s but from the other side. Anyway, for the last several days I’ve been asking God what “the Lie” is that the people will believe (in 2 Thess. 2:11). When I started seeing these feminists embracing and defending islam and seeing celebrities converting it just got me wondering. I’m almost sure that the Lie just might be that the god of the koran is the God of the Bible. I can’t say it with absolute certainty, but to see islam being embraced the way it is is amazing. I never could figure out how it would devour the whole earth, but I believe we’re seeing it with our own eyes. Keep looking up! The god of the Qu’ran is Not GOD. But, GOD Knew this religion and world govt., would come from the fallen devil. 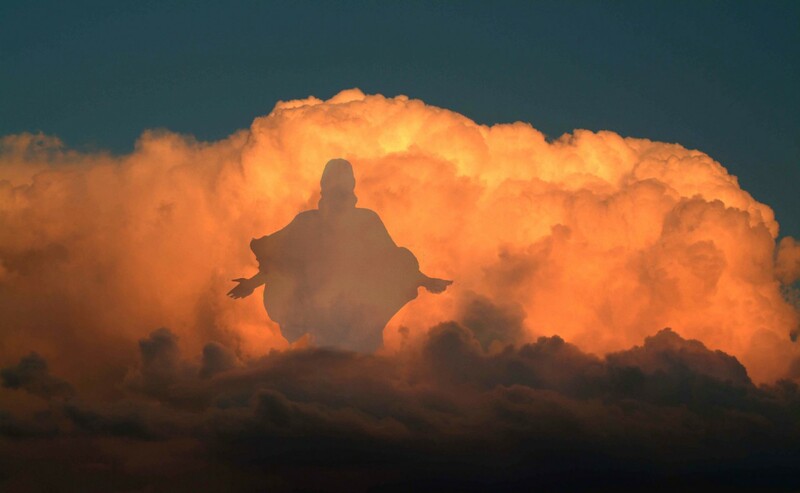 Remember?, he (devil) said, “I will be as GOD”; “I will ascend to Heaven”; I will ascend the Throne.” It was All “I, I, I.” It was in direct defiance and hatred of GOD…HIS GOODNESS, POWER, etc. Islam is direct defiance against GOD,…HIS WAYS, PATHS, COMMANDS, Love, Life, etc. GOD, Who Knows all, Knew the past Before it existed. Just as HE Knew our time Before it existed. And, HE Knows the future. HE Knows All. HE has given all “choice.” And, HE does not take the “choice” away. HE uses all to HIS GLORY. Whatever needs to occur in HIS timetable (though HE Lives outside of “time”) HE Will cause to be brought to pass. The devil also knows this…and, he knows that GOD is long-suffering, wanting all to have the choice to choose HIM. The devil also knows GOD’s Days…he knew he had time to kill as many as he could, and to get as many as he can to worship himself. For, make no mistake, Islam worshios him. When he sees All those butts up in the air, heads and body, down…he is receiving their worship! This is what he wants and craves, and the devil will take it any way he is able. Be careful. There Is Only ONE GOD. And, beside HIM there is No other. Those are The Almighty’s own words. Absolutely! It’s just amazing and frightening to see it all come to pass. I now know why Daniel and other prophets became physically ill after God showed them what was to come. Several yrs ago, I came across some research, and I have Never forgotten the info. It was based on evidence from Mohammed’s (so?) own mouth. He had been having dreams that scared him. Then, he began to literally hear the evil one’s voice in his head,…several times. The devil was instructing him to begin new religion…to worship himself (devil), basically. The second day of the instructions, he told his grandmother that satan was speaking to him. His grandmother told him, “no, it is an angel.” (Now, we True Believers Know that the devil was an an angel, in the very beginning, of glorious abikitues, and very powerful…hence, the Biblical description of the “Great Dragon.” Mohammed was not writing things down, as the devil had commanded him to do. He was scared. The third time he came to Mohammed, the devil took him by the throat, demanding that he obey his commands, or die. Mohammed said he believed the devil, and began to write down every thing the devil Had commanded…and, all the new. Islam is an evil, religion. It is also a world govt., in that the Qu’ran stated that the infidel(s) are to be murdered if they will Not convert. It is a world govt., in that the Qu’ran stated that the Islams Are to force every country, nation, island, peoples, to choose Islam or Die. It is a world govt., in that many times Islamists murder the fearful “converts” anyway. It is a world govt., in that Islamists Demand a “tax” from the new converts, monetarily, any time they “want to.” This tax, often times in the $1,000’s, can be several times per year. And, it often-times involved taking the convert’s home, business, children, jewels, cash money, even their clothes, vehicles, etc. Of course the Islamists also do the exact same to Christians and poor Muslims. The Christian Muslims know they are only being granted a short amt of time to live…they know that if they cannot flee from their area and usually from their country, that they will die. The Islamic/Muslim religion, govt., Is a DARK reality. They are fearful, they have know real “rights,”…they must obey the ones in power. Men are taught in the Qu’ran, that is their “right” to hit their wives and girls. Men that do not do so, are belittled and even in danger of being beaten, themselves. There is a reason for this! The devil approached Eve first. He Knew she was easy to sway, and sin. Adam was Not! The devil hates and despised women. The Only Way to “get” to Adam…was thru’ his wife. It worked. Adam did not want to leave his wife. He chose his wife over GOD! The devil Hates men and women. Men are to get virgins in the “after-life.” The devil Knows, and will quote (for his purposes, and out of context), the WORD of GOD! This fact is all through the Qu’ran. Last statistics of the world’s religion, showed Islam pulling ahead of Christianity. And, sadly, supposed Christians are living Islam. Most believe “allah,” Is GOD. They listen to the teachers of Chrislam, and hear “what their itching ears want to hear.” They have Not read the Qu’ran. If they read anything at all, it the lies that Islamists print about Islam. These same “Christians” cannot read Arabic, as most Muslims cannot read Arabic either! They are taught what the “Qu’ran” says, and only the “needful” parts! I just don’t understand (except the WORD says this Will occur), how the west can love Islam. It is evil to the Core. Period. Keep sending your articles, Geri. It is the way some will learn. Hooefully, many who read, will Come To JESUS and The FATHER!! Blessings and hugs! Sorry for the long post! I kind of got off on a tangent!